Dissolve sugar in 3/4 cup warm water and add yeast to it.Keep aside for 10 minutes or until frothy. Meanwhile combine whole wheat flour,milled flax seeds and salt . Pour the yeast mixture and olive oil into the dry ingredients. Transfer the dough to an oiled bowl and leave it aside for 45 minutes or until it doubles in volume. Transfer this dough into a greased baking tray and evenly press this dough to form a thin crust. Blanch the tomatoes and remove the skin. Chop the tomatoes finely and keep aside. Heat oil in a pan and add the crushed garlic and saute till done. Add mixed spices,vinegar,sugar,crushed pepper and salt to taste. Cover and cook for 30 minutes over low flame or until the tomato is completely cooked and mashed up. Allow this sauce to cool. Spread this pizza sauce over the prepared crust leaving 1/2 " on all the sides. Arrange sliced vegetables ,olives and grated cheese over this. 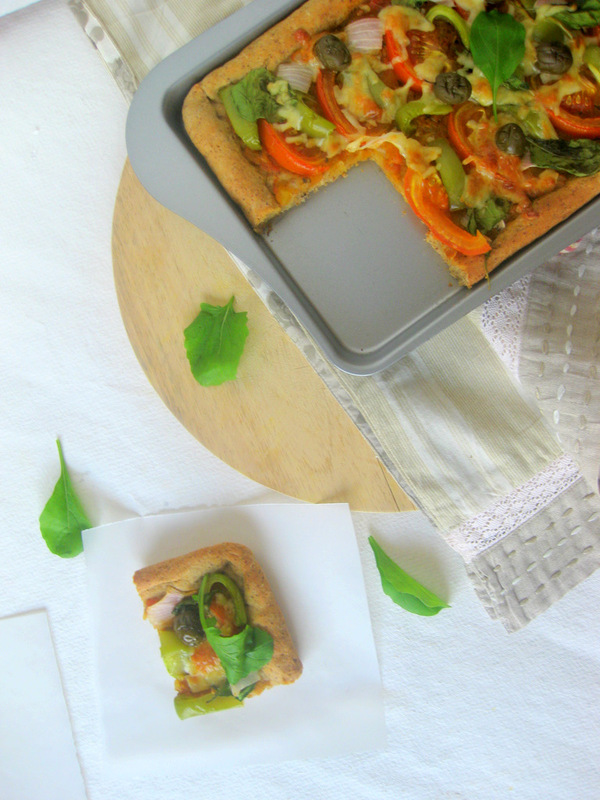 Bake the pizza for 15 to 20 minutes (220deg)or until crust turns golden brown in color. 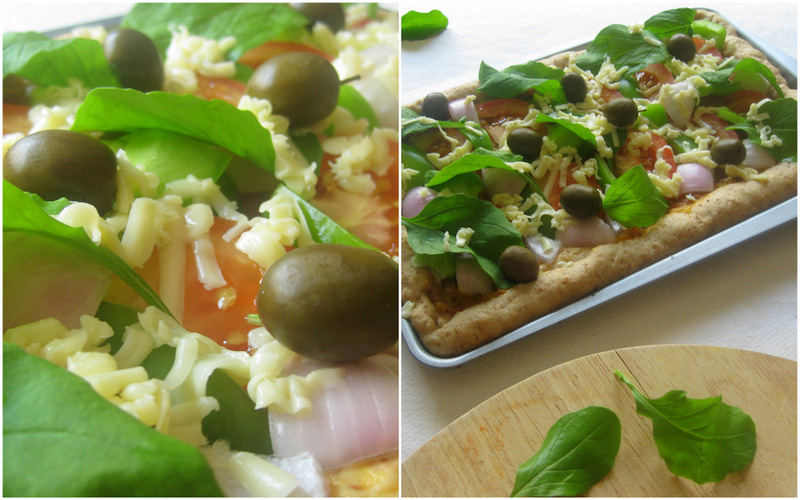 wonderful pizza, i like the wheat base, wish i could have a slice now..lovely clicks dear.. 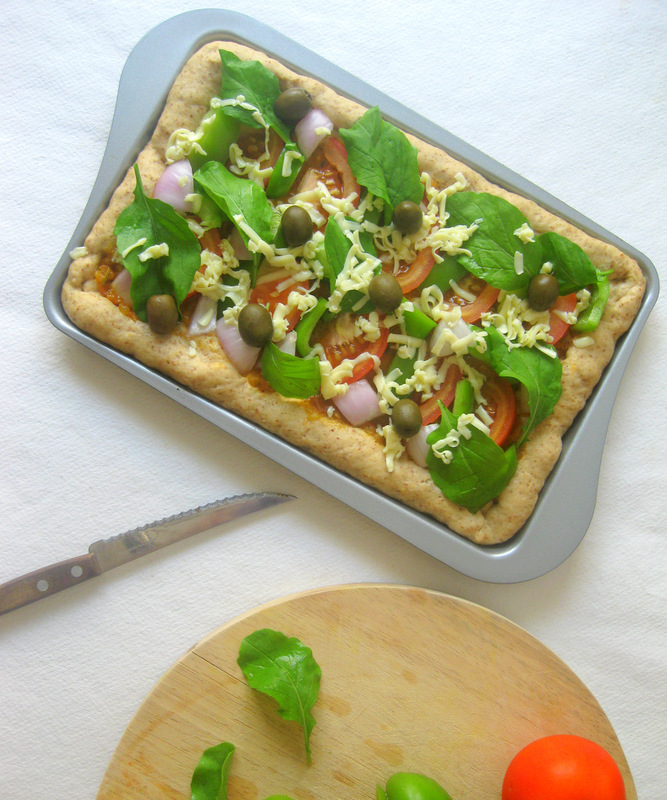 Whole Wheat bread Piza luks spongy,cheesy as well as healthy.Luv to try it soon. wow, that looks super delicious !!! 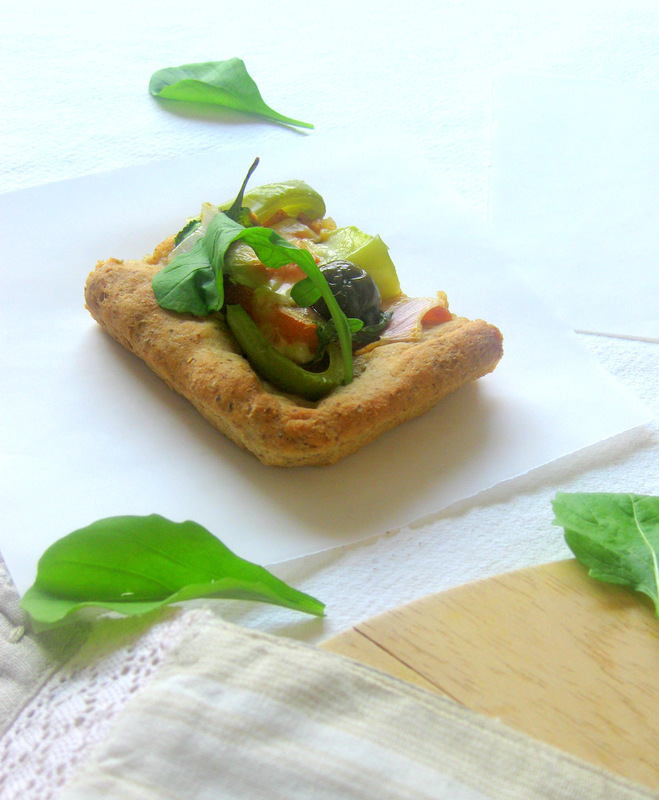 So healthy and yummy pizza !! amazing clicks !! wow looks like a real crowd pleaser, awesome clicks! Superb... Who says no to pizza? that too if it comes in healthy way? 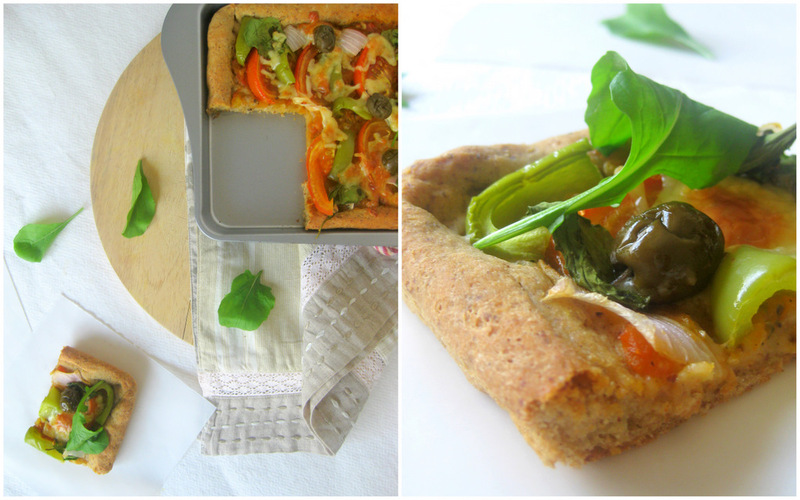 excellent...healthy pizza looks yummy and wonderful captures !!! WOuld not mind a bite. Very lovely clicks. Wonderful! Pizza is always welcome and if its healthy, then more so! Love it !Lovely pics too. 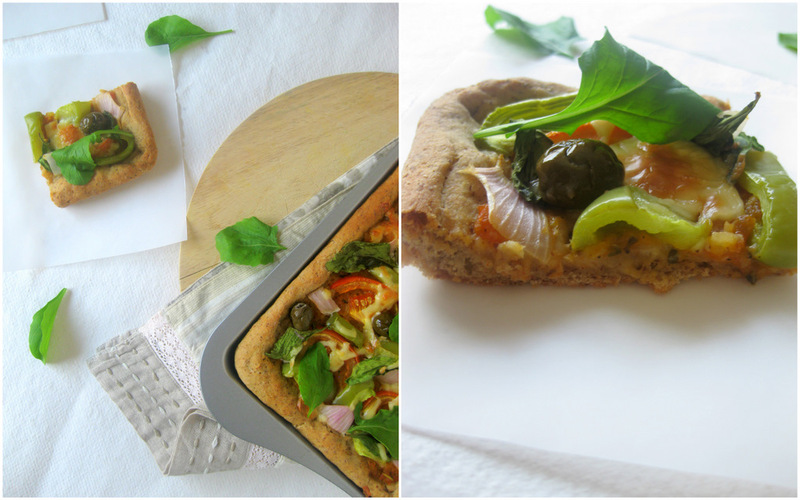 love wholewheat pizzas and as usual lovely clicks..
my next Pizza recipe will be this.... Just loved this!!!! Very healthy pizza,looks so yummy. 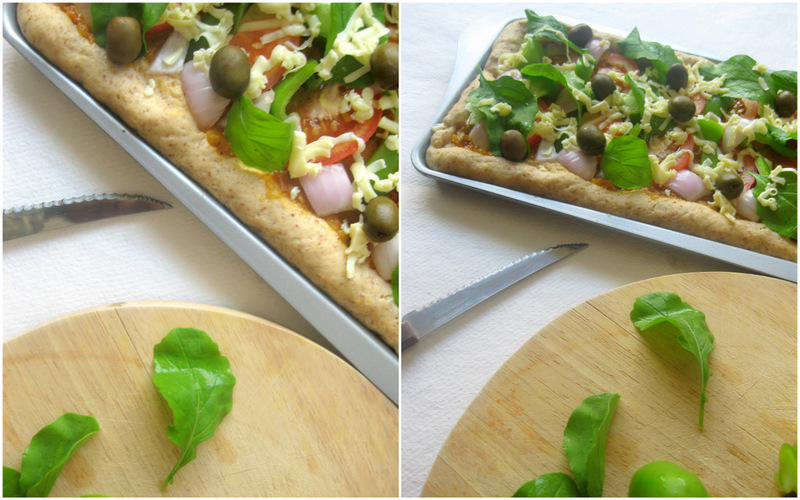 Very healthy and delicious pizza.. looks super perfect !! First time here..you have an amazing space with great recipes! Keep going! Looks like a spring pizza, lots of colour. Pizza looks so inviting and loving the whole wheat. Thx for linking to the event.